This weeks episode “The Curse of the Earth Totem” was a bit of a departure from Legends of Tomorrow’s usual formula, in that it had 3 different storylines running through the episode. At a stretch I’d say only two of them worked, and even then I was only majorly invested in one. I absolutely adore the time travel, after all it is what 99% of the show is about. However other shows have done pirate themed episodes a lot better than this. The Pop-Culture references were OK enough, but I still don’t really understand what the whole point of the pirates storyline was. Or how exactly Damien & his daughter seem to always be right on the Legend’s track. For a quick recap, the episode began with a Pirate Captain instructing his pirates to bury his treasure, all the whilst telling his lady that he’d kept the most valuable treasure back for them. Said treasure turned out to be one of the Totems the Legends are trying to track down. It drains the life of the Captain’s lady as soon as she puts it on & turns her into a horrific beast. Nate, Amaya, Mick & Ray dress up as pirates and head to the Bahamas to infiltrate the pirates cove. In an attempt to lift Amaya’s spirits, Nate & Mick with a little help from Ray hype her up to be a marvelous pirate. Unfortunately the hype is ended when Damien & Nora appear, wanting the totem for themselves. The rest of this storyline sees them conjure up a plan to get it back, have to fight the pirate + Darhk and Nora, and Ray being forced to shoot Nora in order to save Amaya’s life. He for some unknown reason feels extremely bad about this & travels back to the cove, where Darhk is holding his dying daughter in his arms and gives her the cure. Nora thanks him by draining the life from Ray, before Darhk halts her in her tracks, another dastardly plan obviously forming which takes up into next week’s episode. I understand that Ray is by nature a character who cares deeply for others. That and his naivety is something that usually makes us as a viewer feel for him. However explaining to Mick that he feels differently towards Nora now having come across her in her teens is rather silly. Before she met the Legends her path had been chosen. Yes, they attempted to change that, but they were unsuccessful & she is now a villain who has no qualms in hurting any of them and Ray needs to remember that. We were also treated to Amaya’s woes over her relationship with Nate, as she knows that they don’t have a future together. This storyline is beginning to remind me of the Hawkgirl drama of season 1. Considering I’ve only just given Legends of Tomorrow another chance, that’s obviously not a good thing. If Nate & Amaya are truly doomed, then the show just needs to step away from that romantic storyline because setting any couple up to fail isn’t fun to watch. Especially when it’s their recurring storyline throughout numerous episodes. Onto the only real good part of this episode: Sara and Ava. From the moment they first laid eyes on each other, I saw the potential. The show is now very much exploring that potential and I love it. From admiring how good each other looked, to attempting the awkward small talk, Ava confronting Sara over ditching her, the kiss, fighting the pirates and their end drinks, they are absolutely adorable. 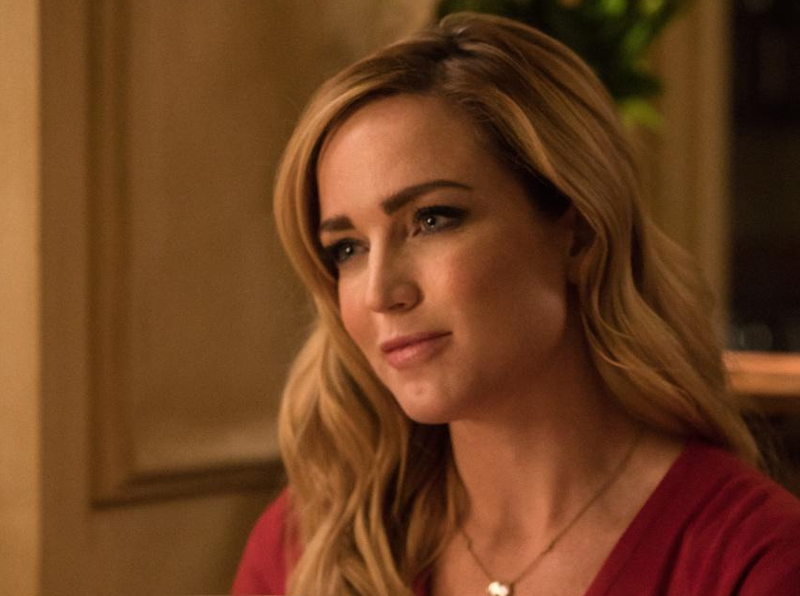 As we’ve seen over the episodes as Sara’s denied her feelings for her, Ava brings out a different side in her. It’s one that is fun, and it’s one that I’d very much like to see more of. I can only hope their relationship makes it through the remainder of the season unscathed, and if the show is renewed, that Ava continues to recur. She’s a rare LGBT character on TV in the sense that she’s in acquaintance with a series regular and gets more than 2 minutes of screen time. Legends shows her going about her job. It’s given her character a bit of depth with loose conversation. Some shows could do with taking note. Finally WALLY WEST IS HERE! Unfortunately, her arrival episode was a bit of a damp squid. Whilst getting drunk and bonding with Rip over a rendition of ‘Careless Whispers’ is a scene I will be replaying, I really wish he’d had more to do this episode. Judging from upcoming promotional pictures it is obviously the shows way of gently introducing him to the viewers, who may not have prior knowledge of Wally from The Flash. But if that was their intention they completely and utterly failed. A brief recap at the beginning of the episode from Wally’s time on The Flash isn’t enough to explain who he is & why exactly the casual viewer should be invested in him. As I say though, that will probably be worked on in the coming weeks, and I look forward to Wally’s proper introduction to the Legends.